The price includes a pair of Viper Side Steps with 4 Cut-out Plastic Steps for Honda CRV 4x4 2002-06 Models that fix to chassis frame mounting points. Our Side Bars and Steps are Hand Polished to a mirror finish. 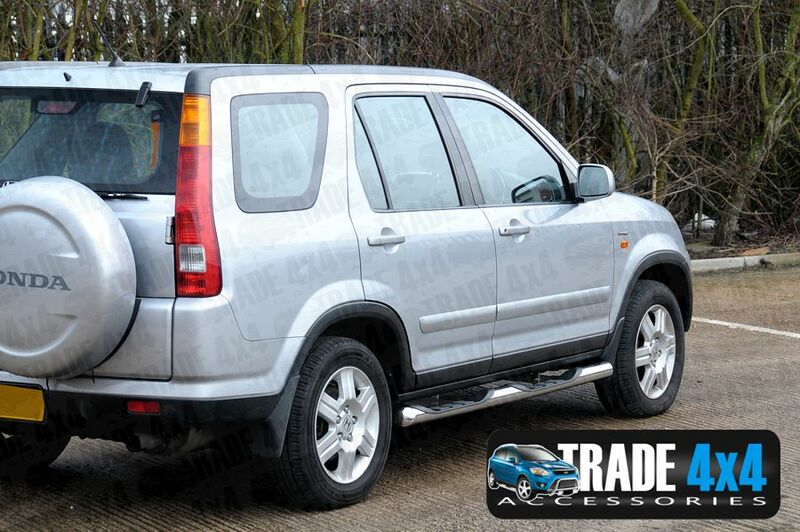 Excellent value for your Honda 4x4 giving an excellent finishing touch. *Note - May require removal of the front mud flap or cutting of the mudflap around the end of the sidebars after installation. Click the button below to add the Honda CRV Side Steps Bars VIPER BB005 76mm 2002-06 to your wish list.